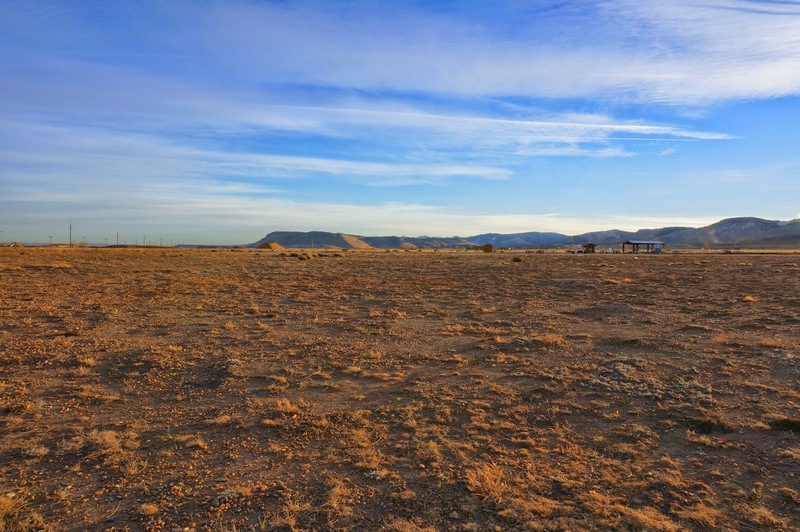 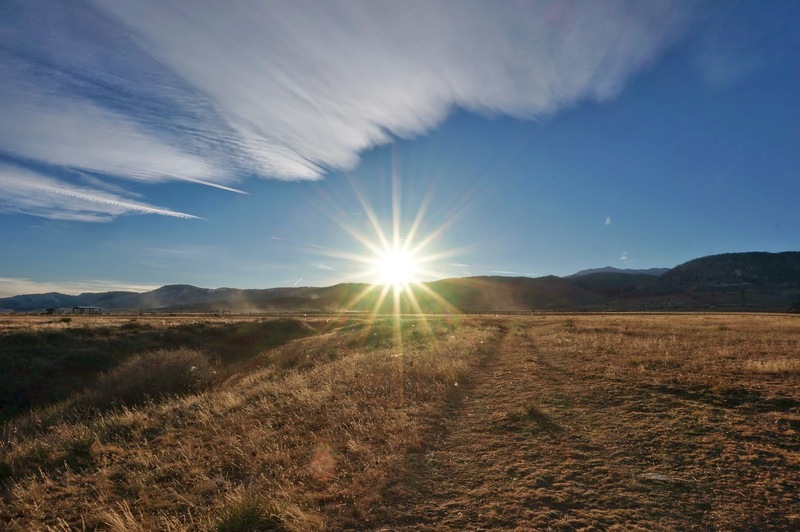 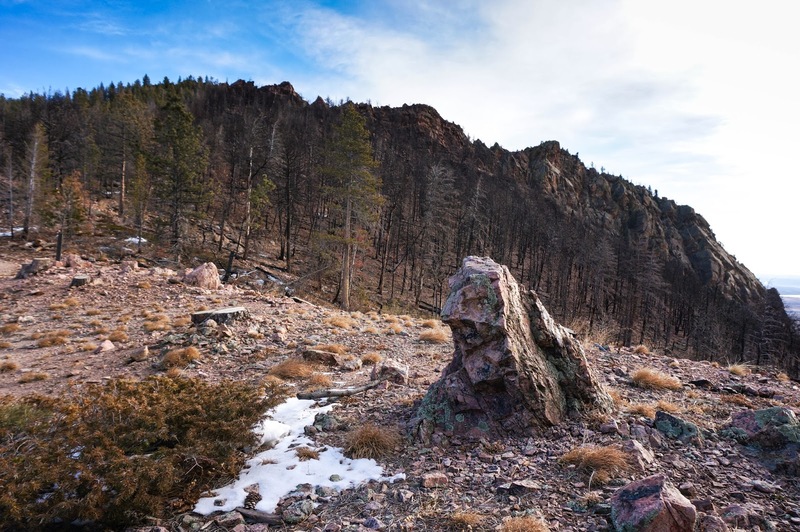 Directions: This hike starts at the South Mesa Trailhead off of Eldorado Springs Drive. 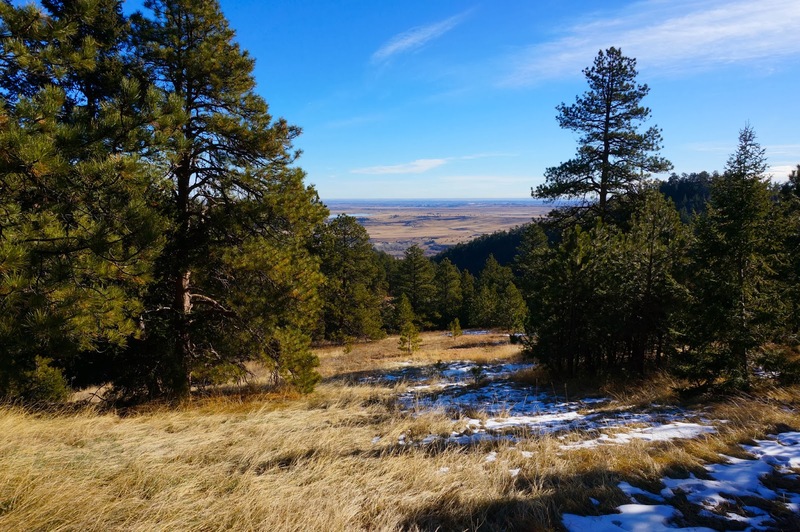 From Hwy 93 south of Boulder head west on Eldorado Springs Drive to the South Mesa Trailhead on the right. 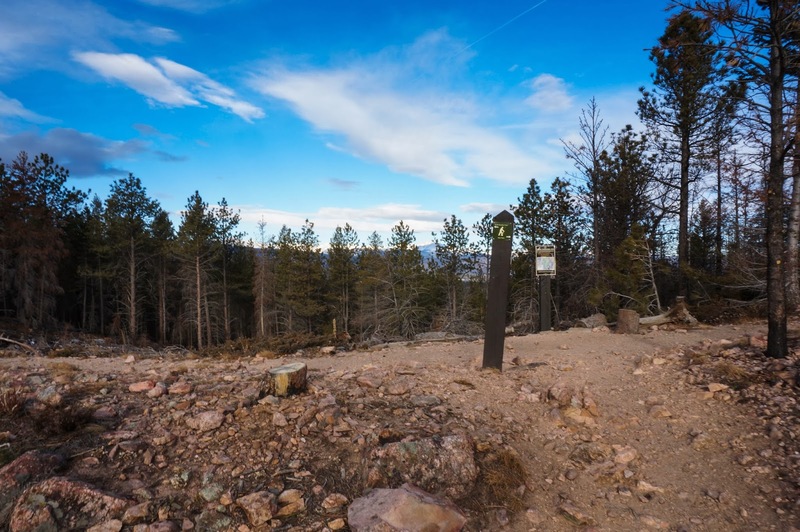 If the parking lot is full, you can park at the nearby Doudy Draw Trailhead. 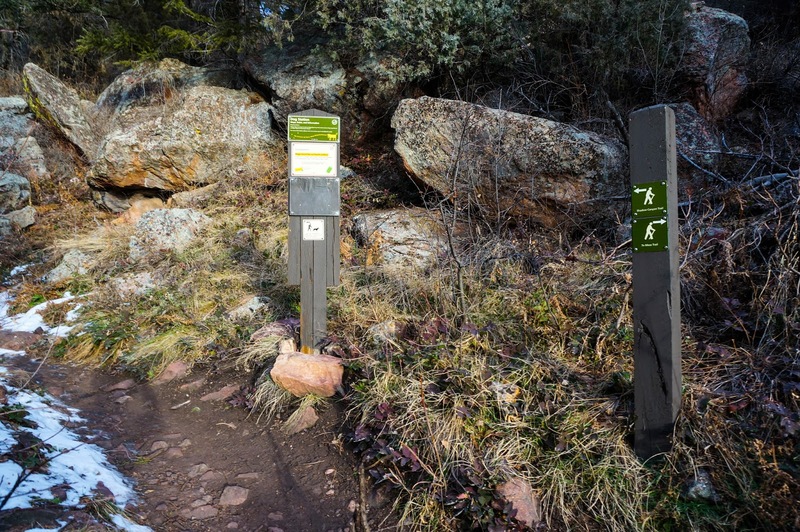 There is a parking fee. 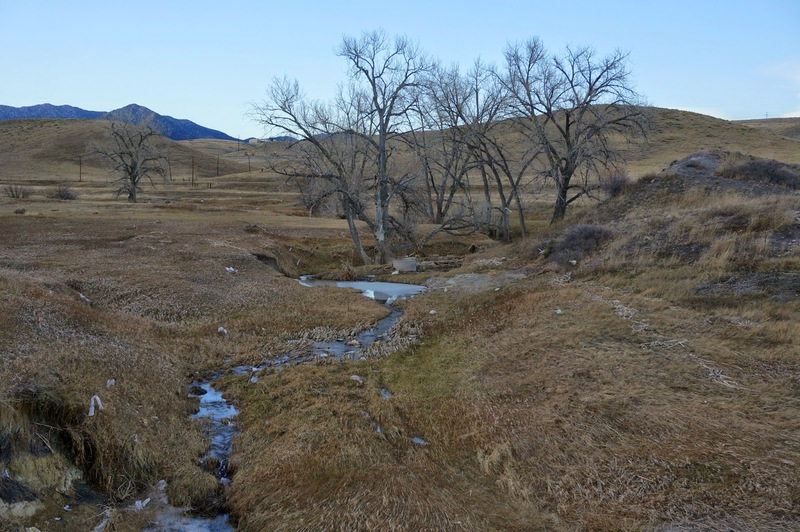 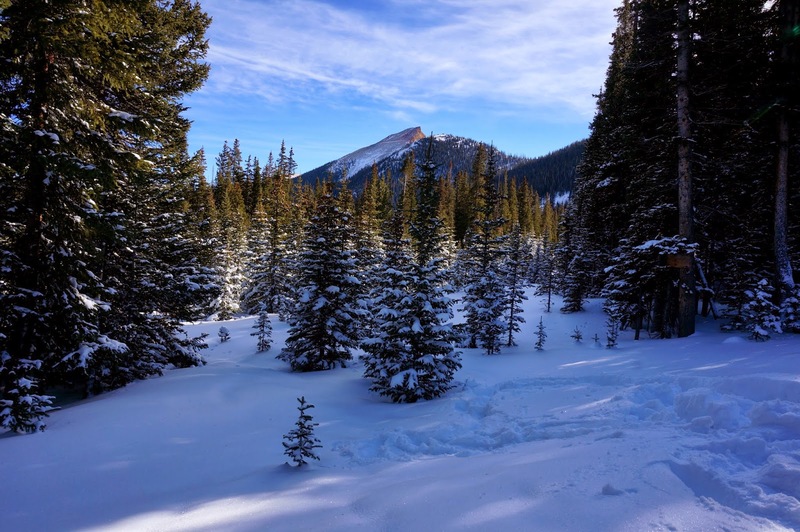 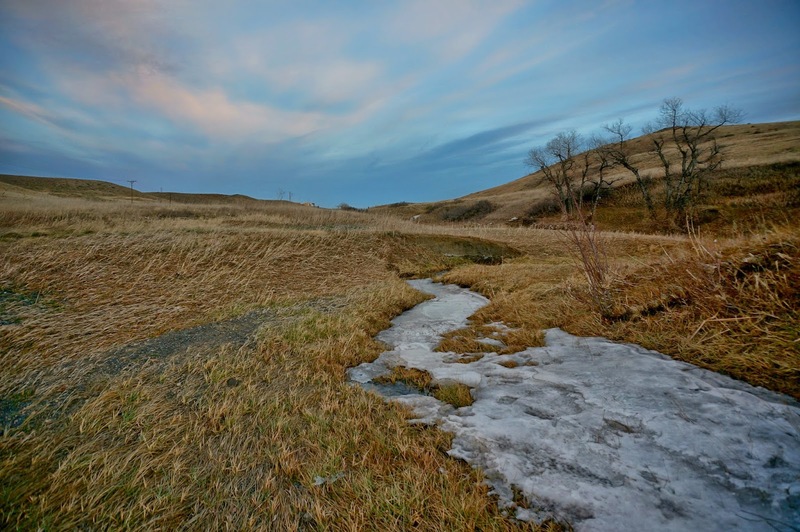 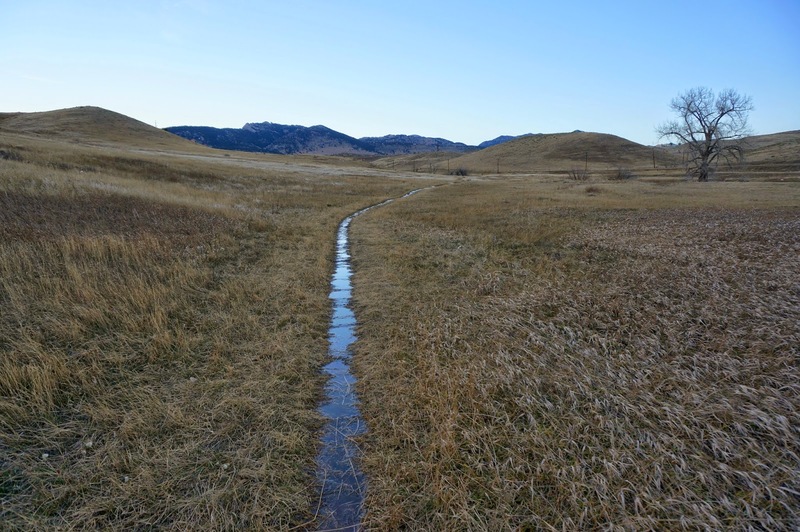 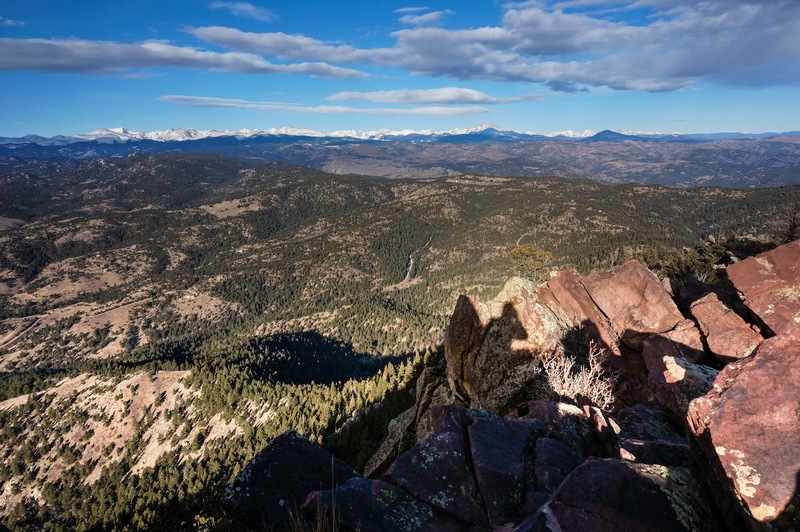 This is a great hike and maybe the closest major peak to Denver and Boulder. 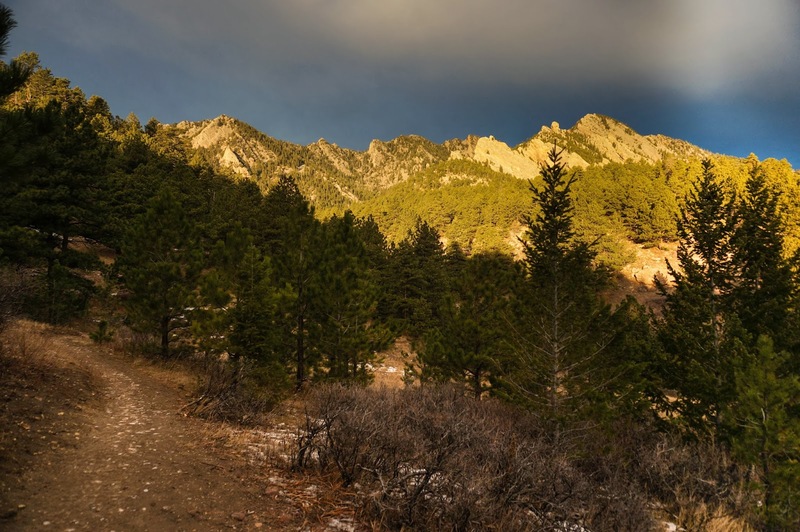 From the trailhead follow the Homestead Trail to the Shadow Canyon South Trail. 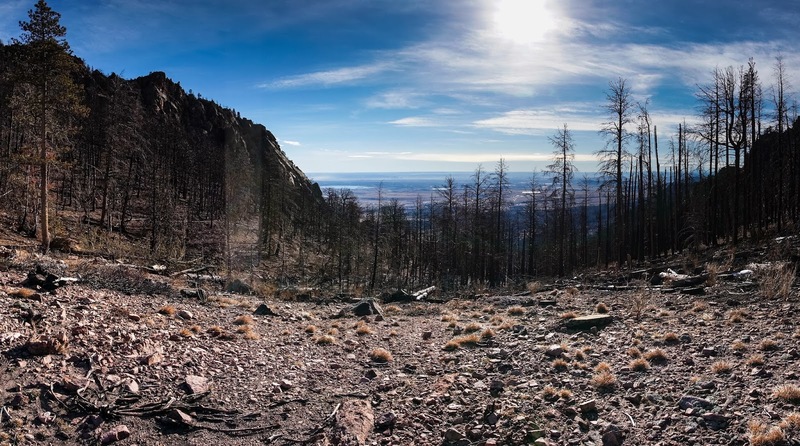 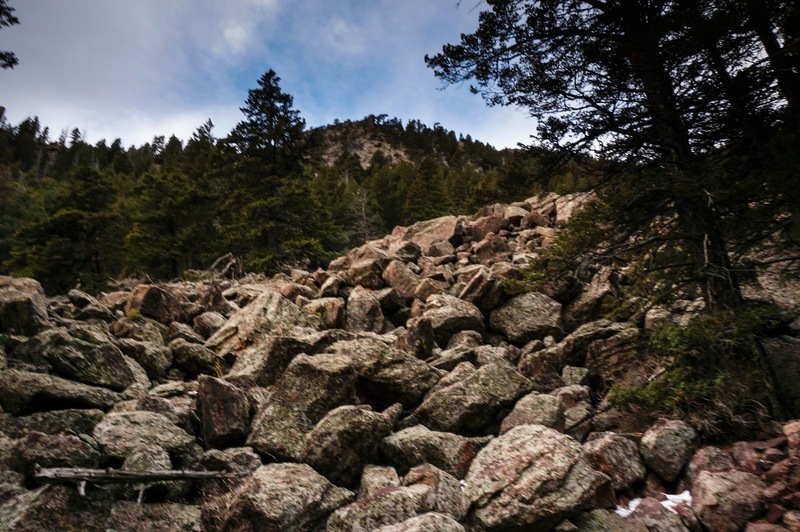 The trail meanders through the mesa, hills, and forests leading up to steep walls of the Boulder Mountains Massif. 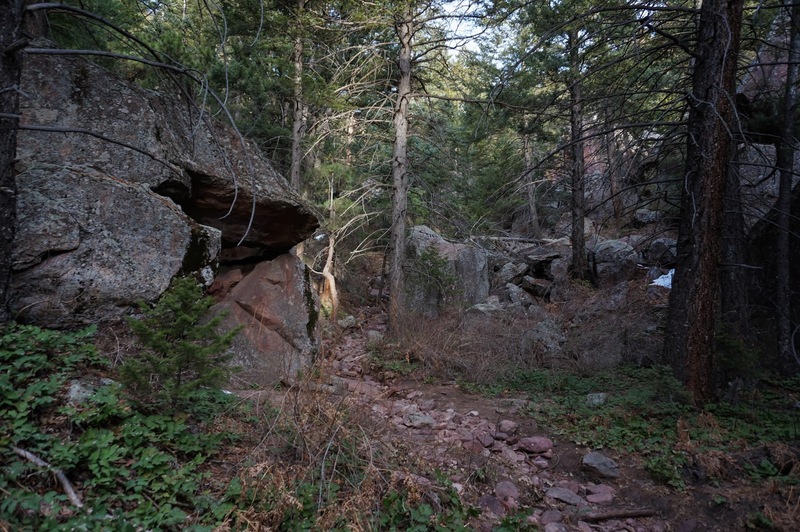 After roughly 2.5 miles of hiking you reach the entrance to Shadow Canyon, this is where the real hike begins. 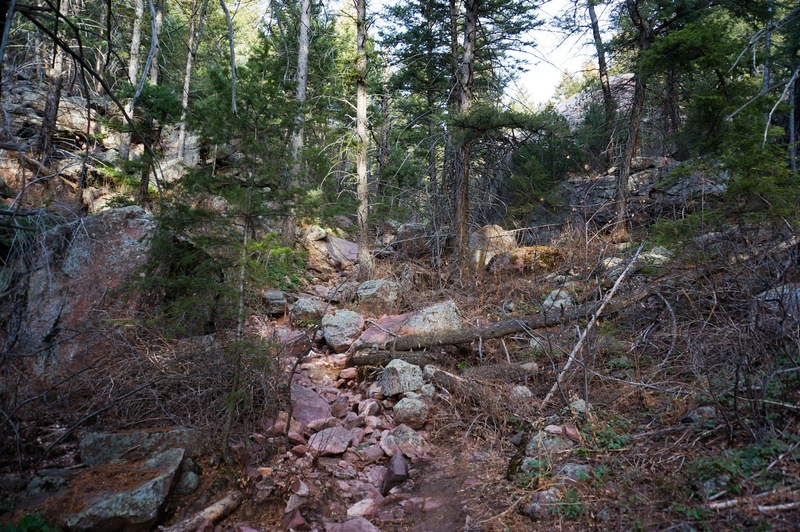 Travel up a steep, rocky, washed out (from the 2013 floods) trail steadily up through the canyon. 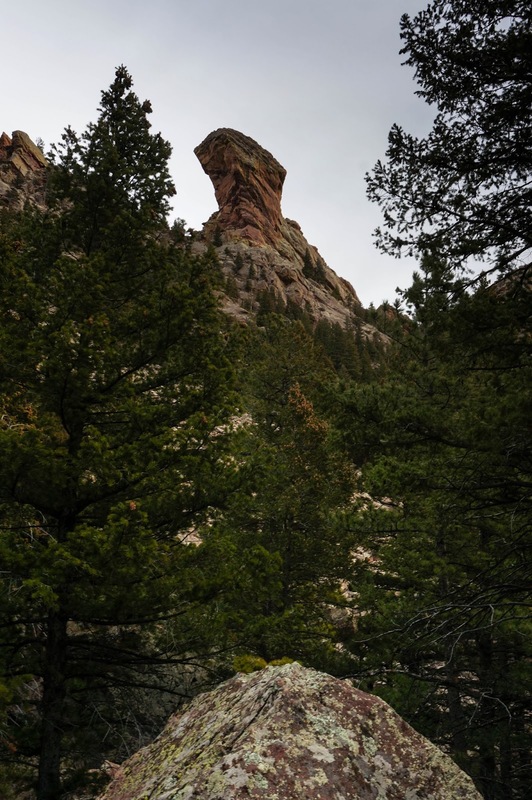 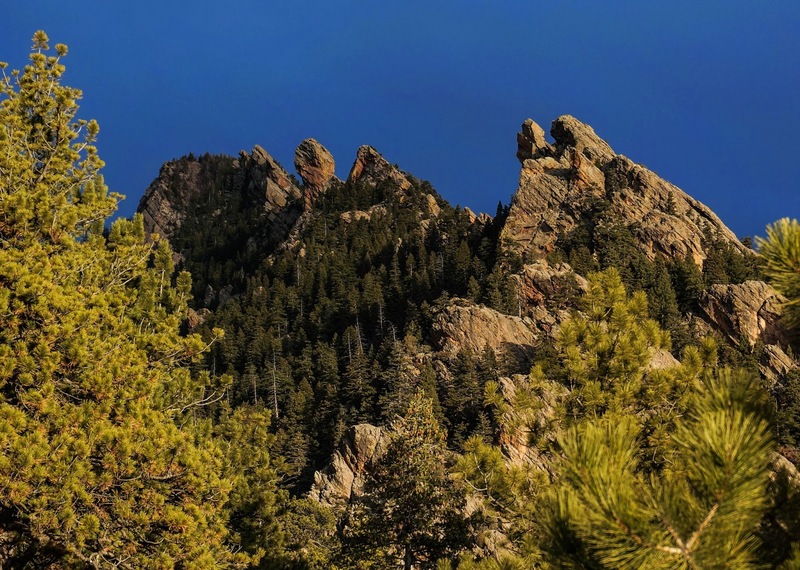 Keep an eye out to the north for an up close view of Devil's Thumb. 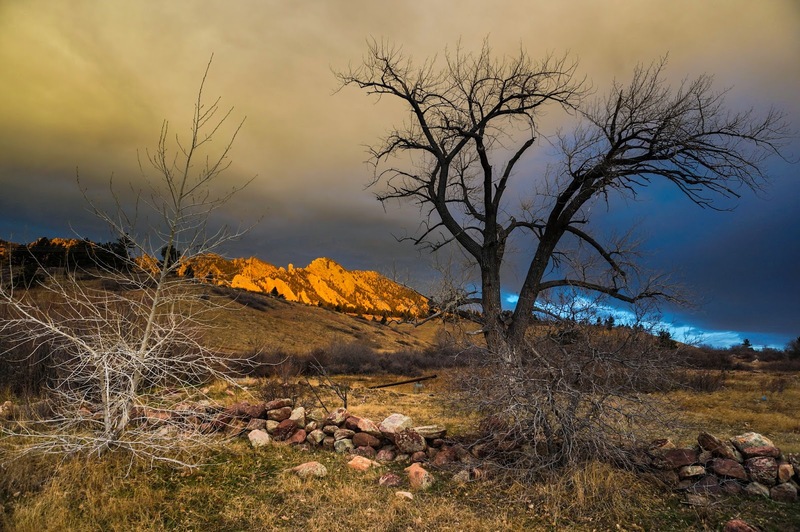 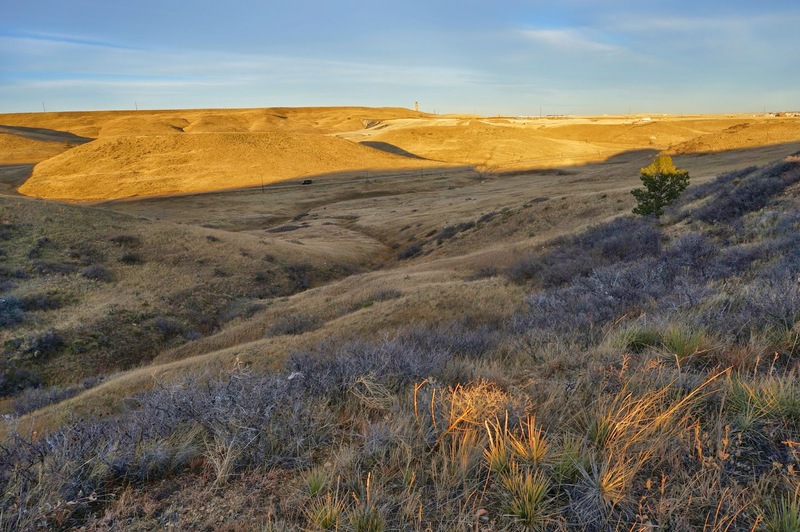 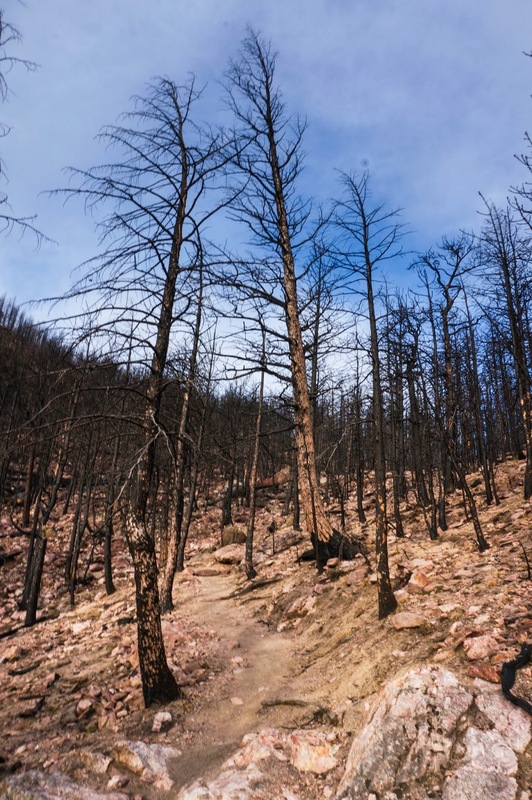 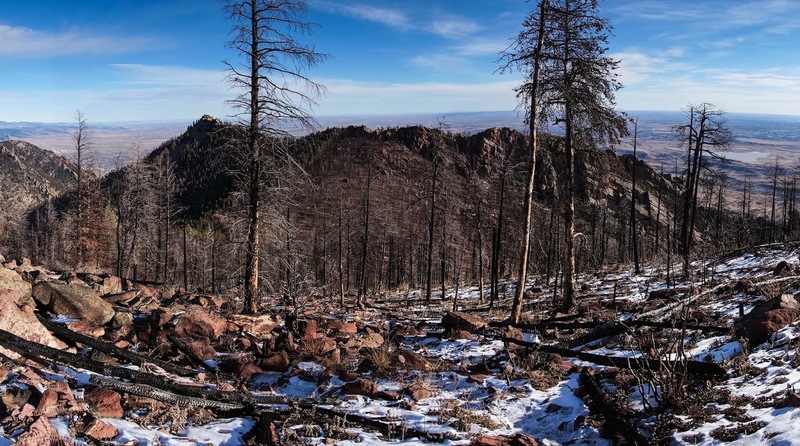 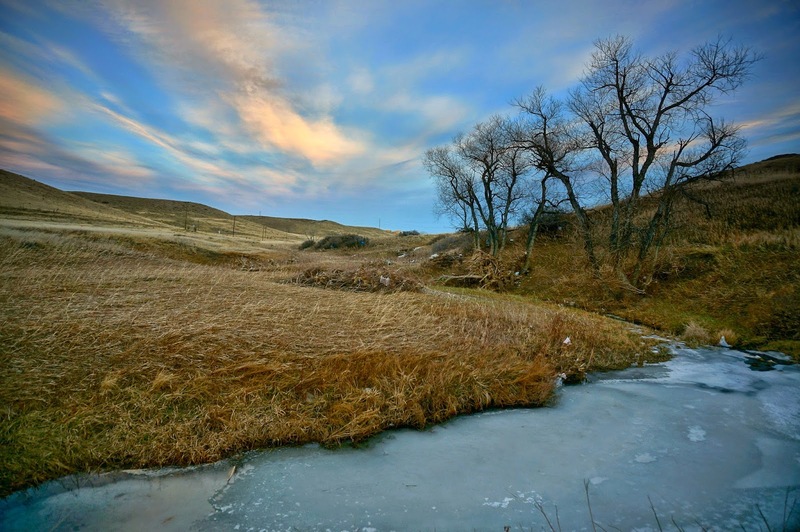 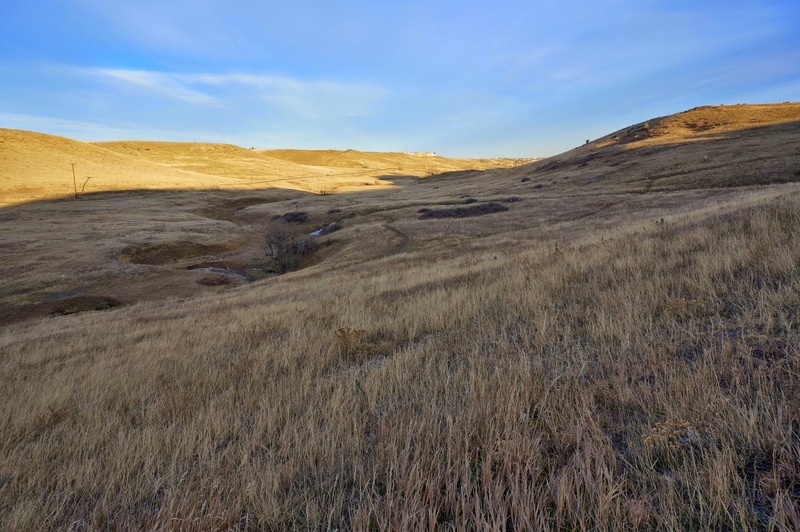 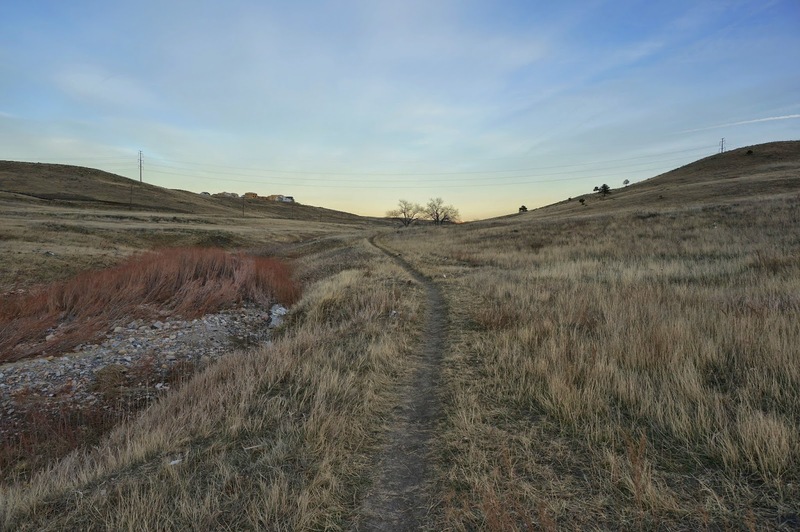 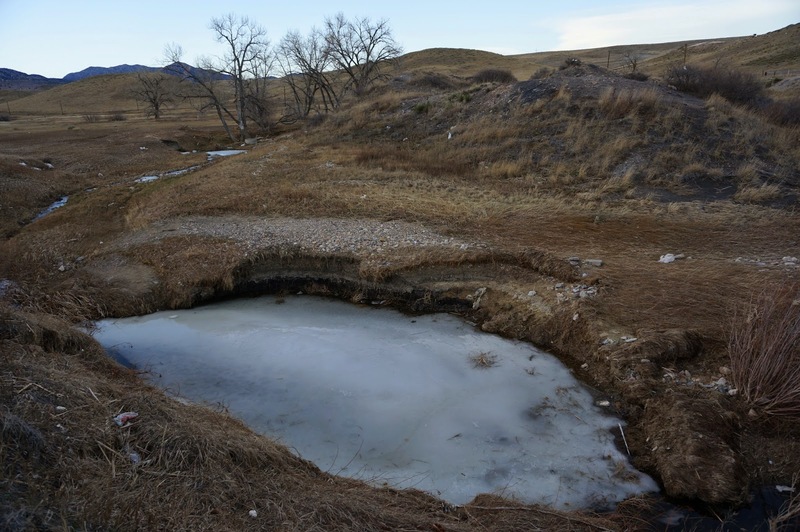 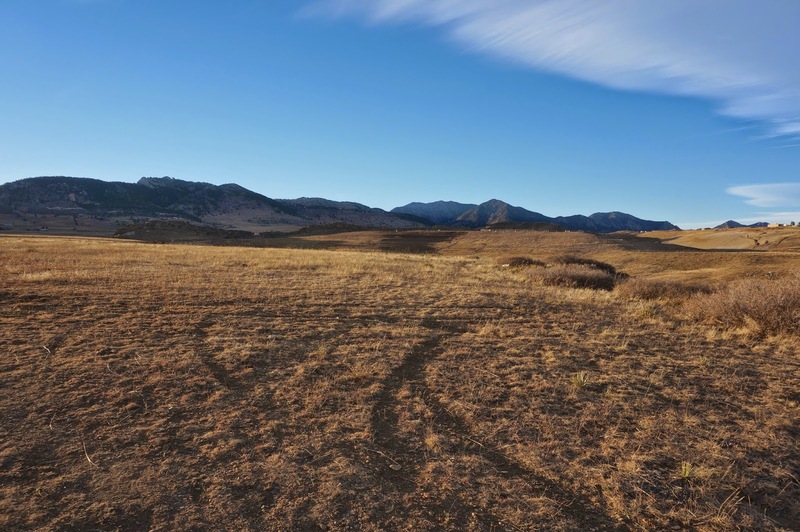 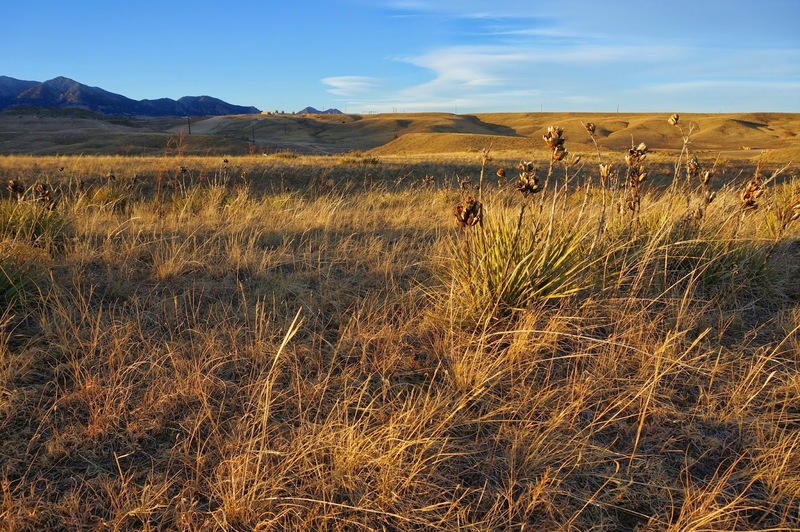 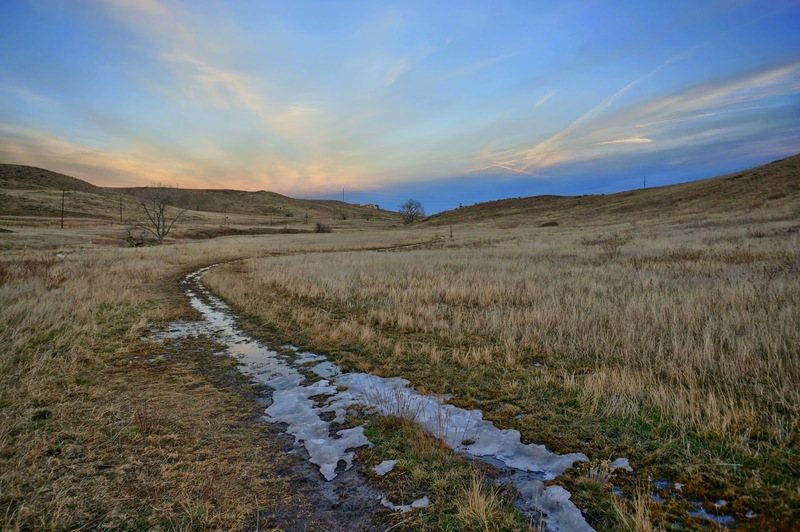 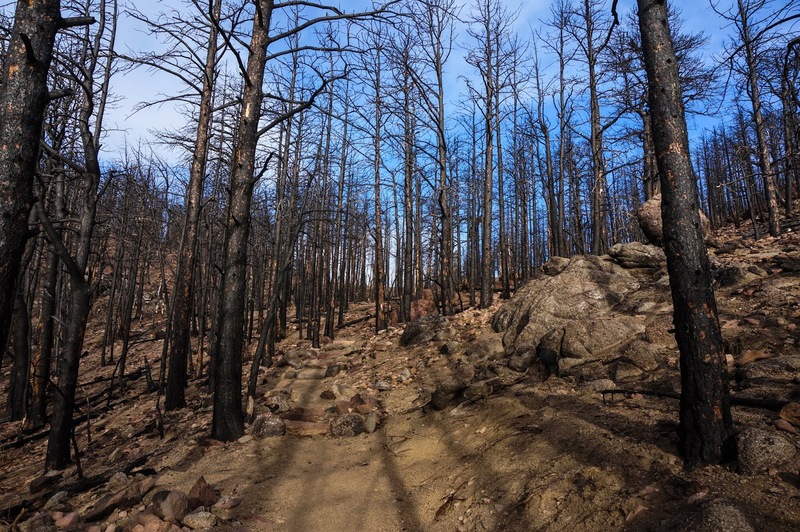 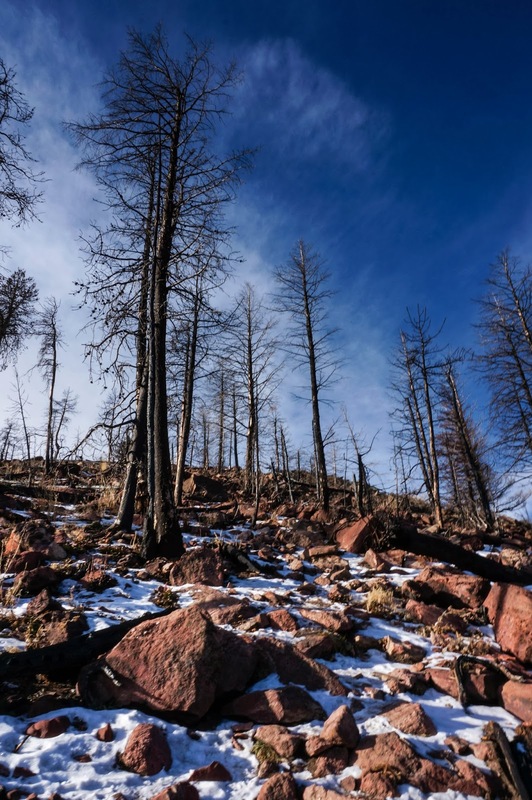 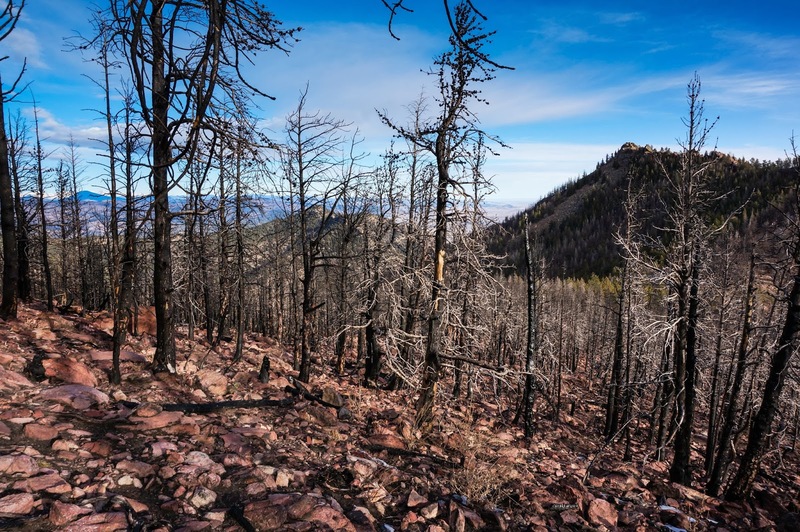 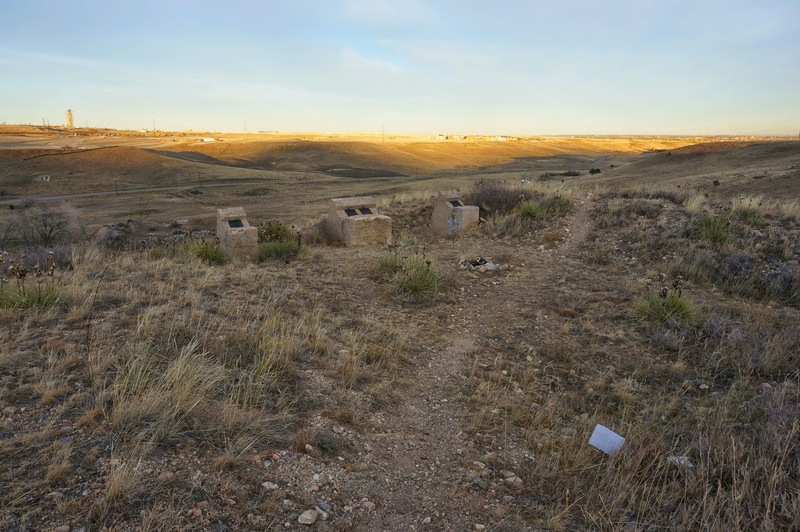 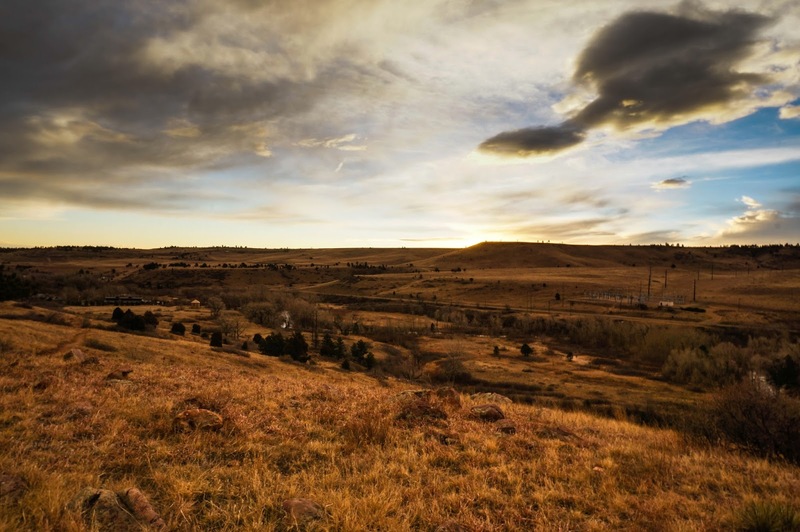 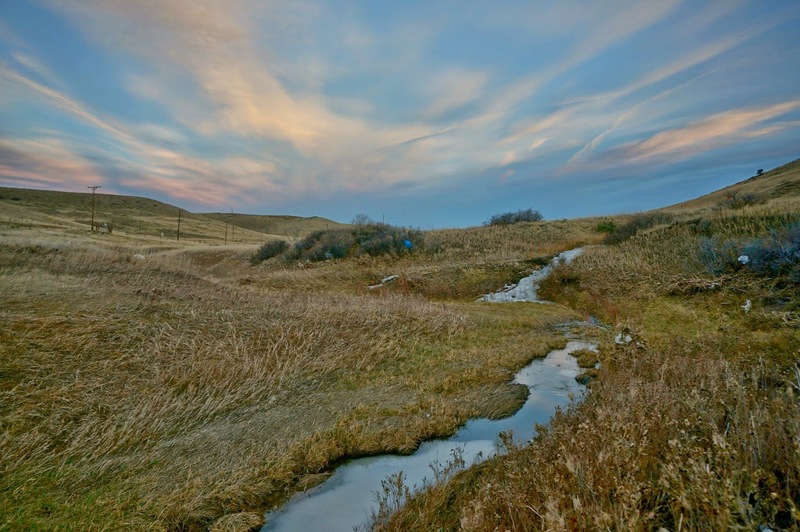 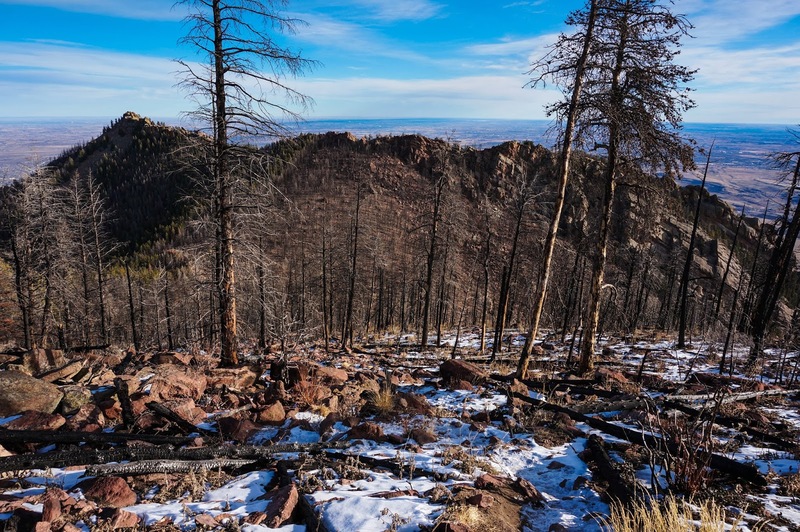 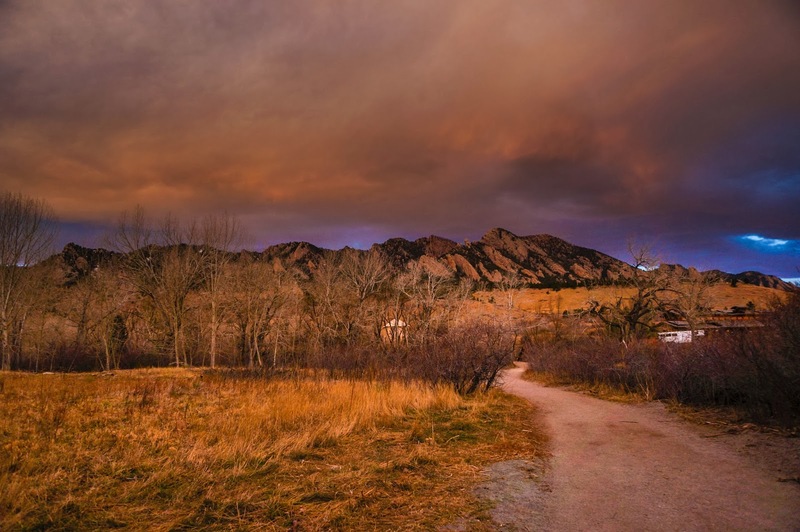 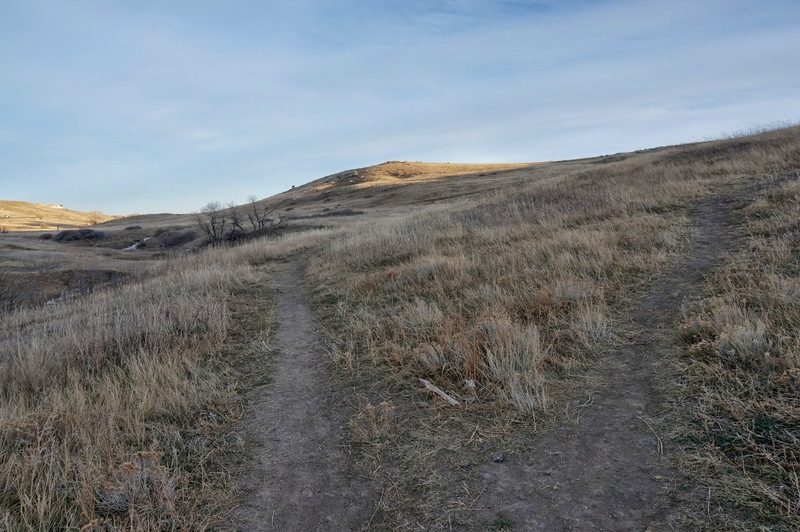 Near the top of the canyon you enter a burn area that offers an otherworldly landscape with views looking down towards Boulder, Denver, Golden, and the surrounding plains. 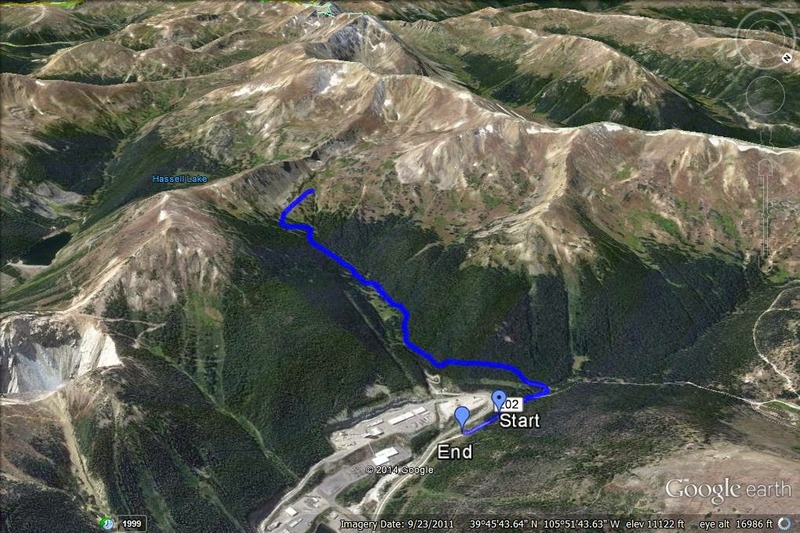 After a few switchbacks you'll reach the Bear/S. 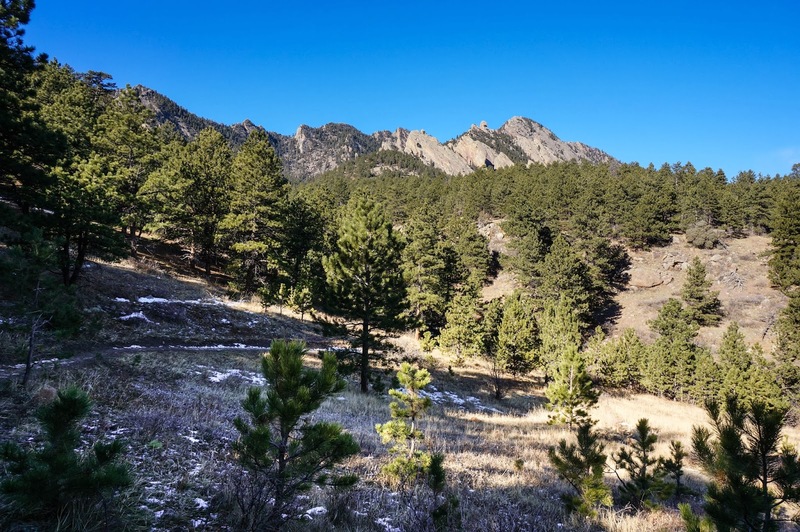 Boulder Peak Saddle. 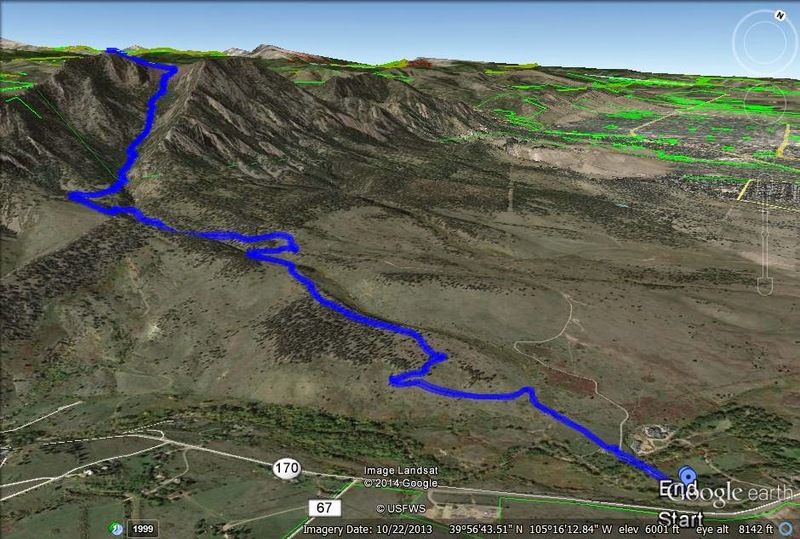 From here it is about .3 miles south to South Boulder Peak or .3 miles north to Bear Peak. 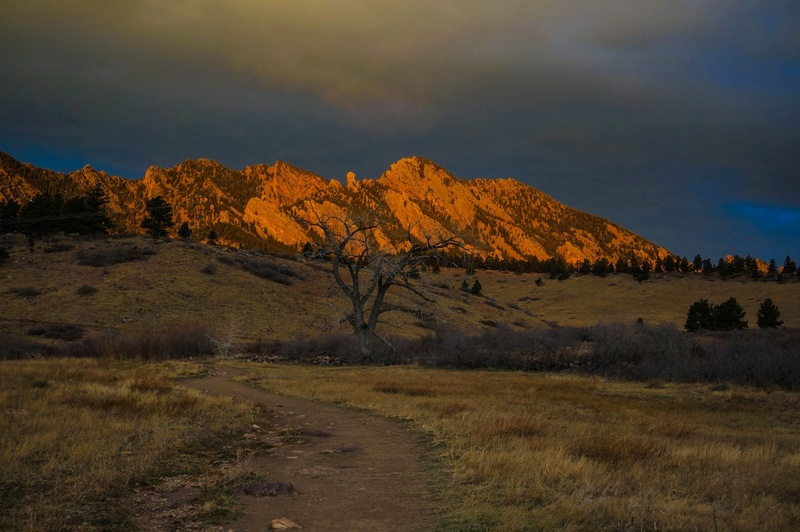 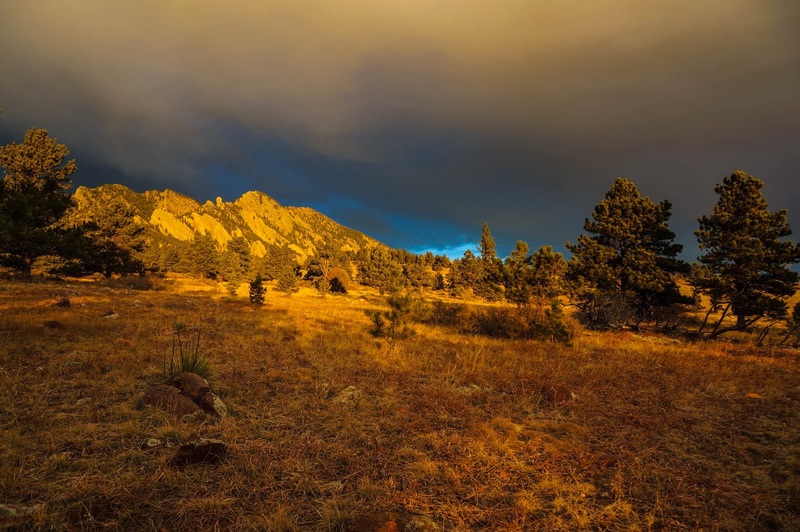 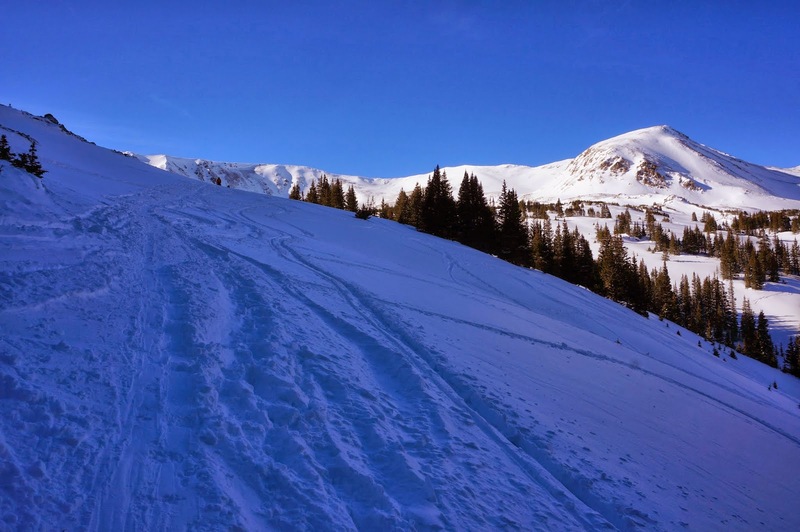 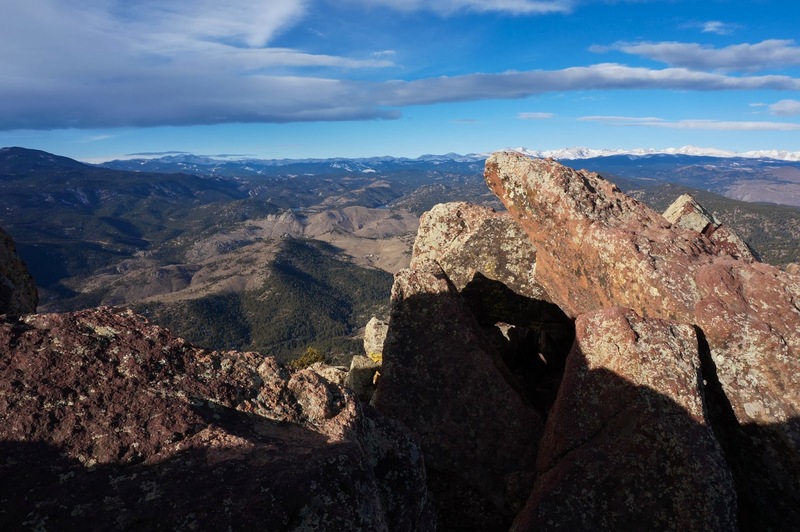 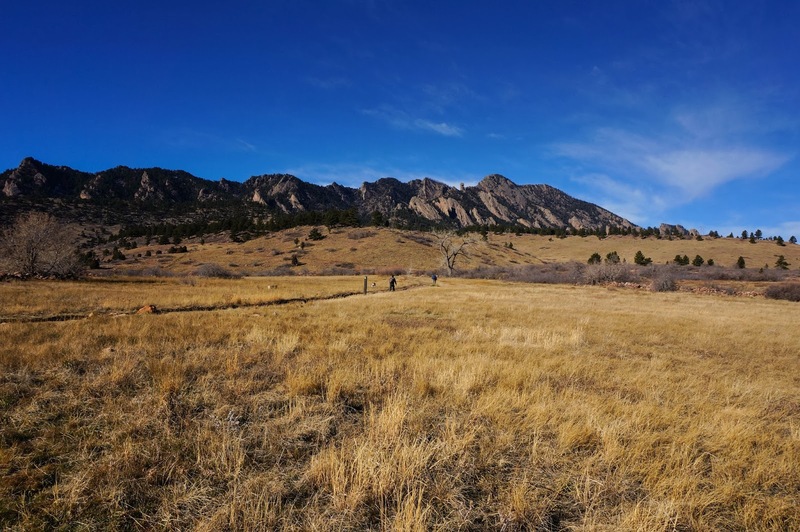 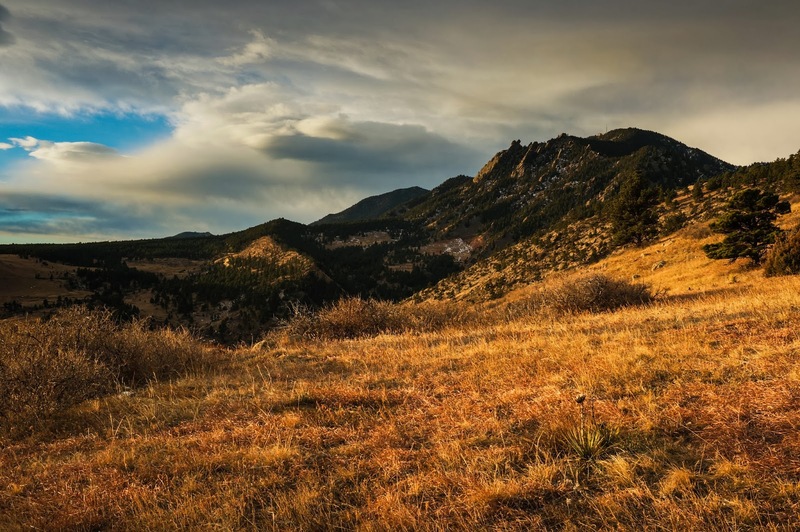 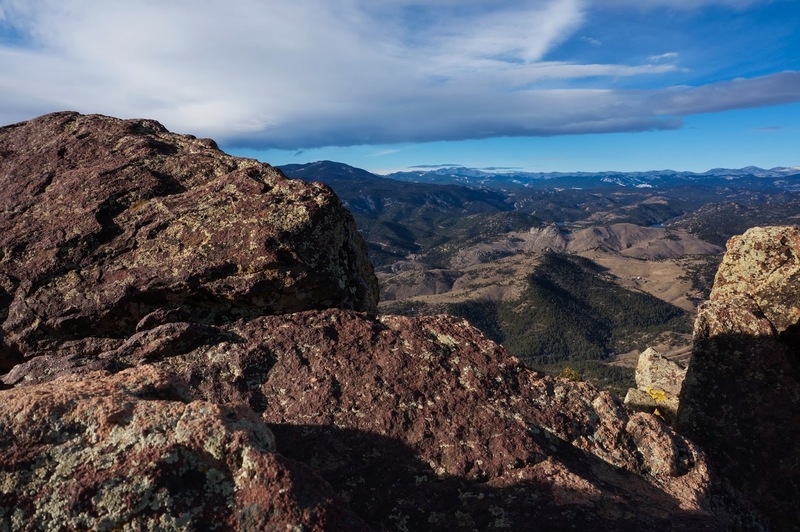 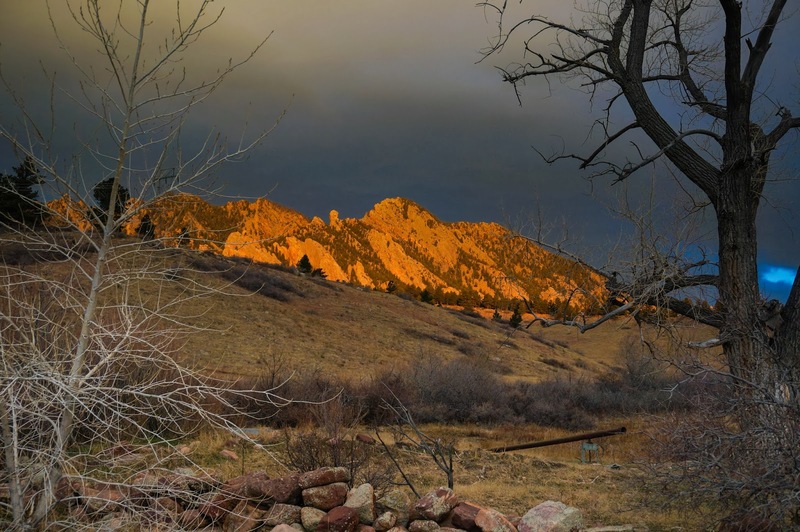 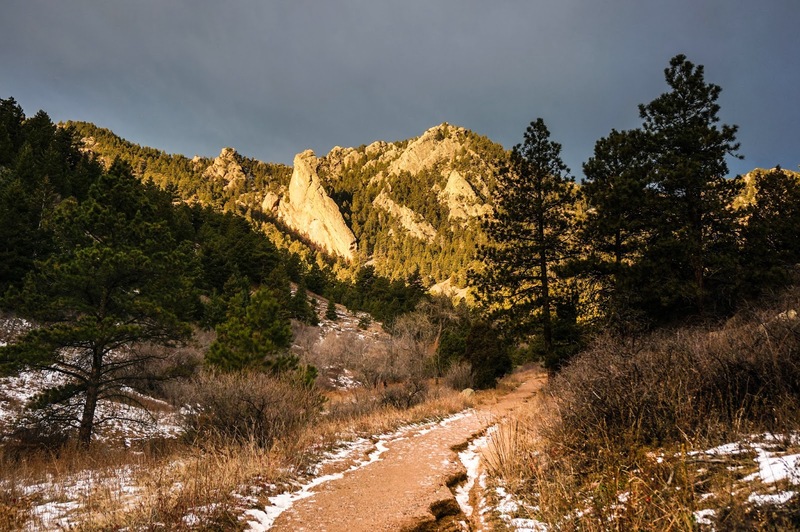 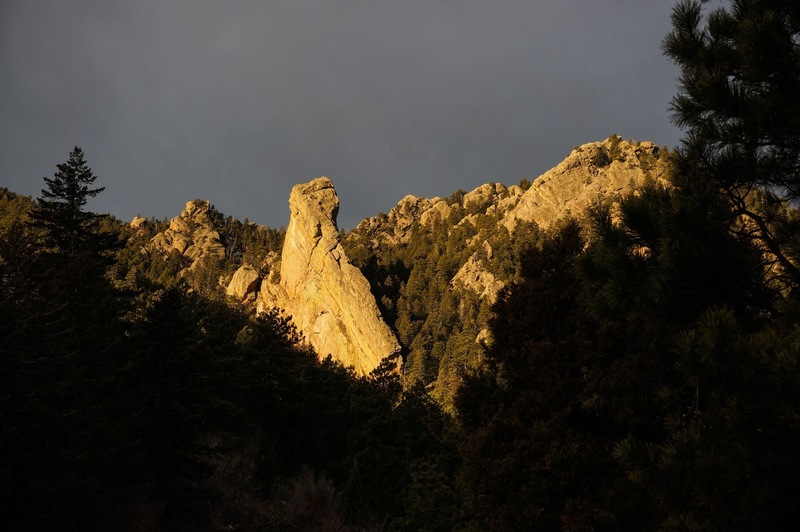 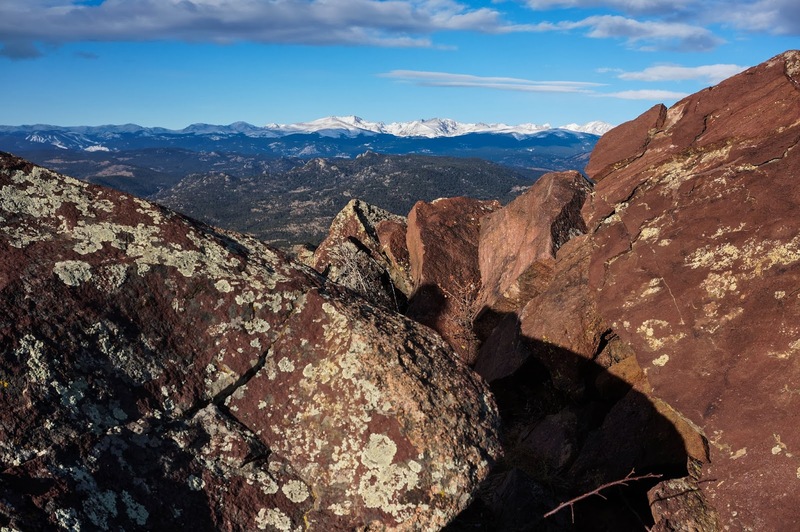 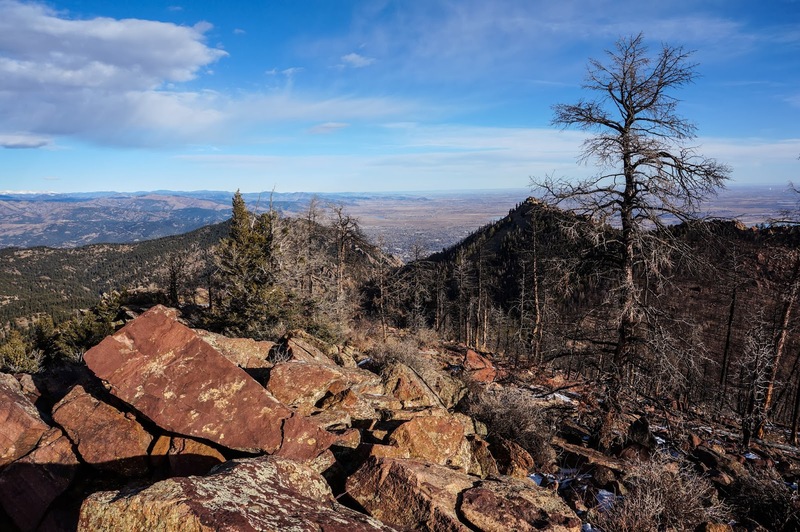 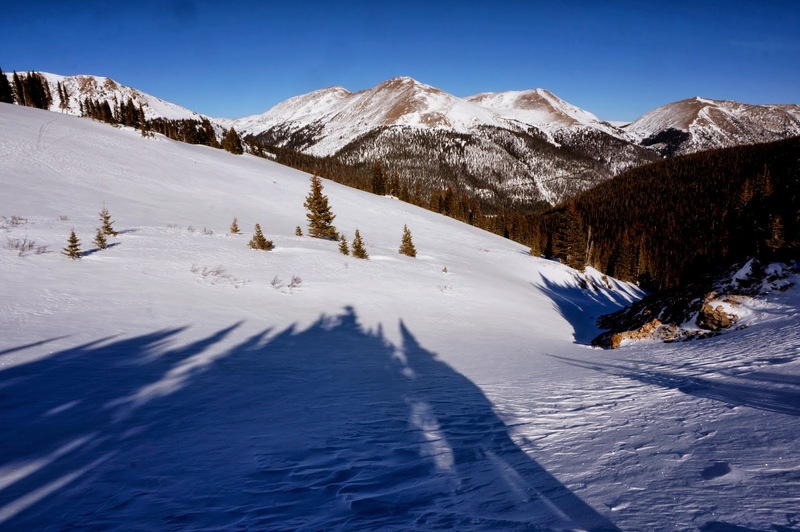 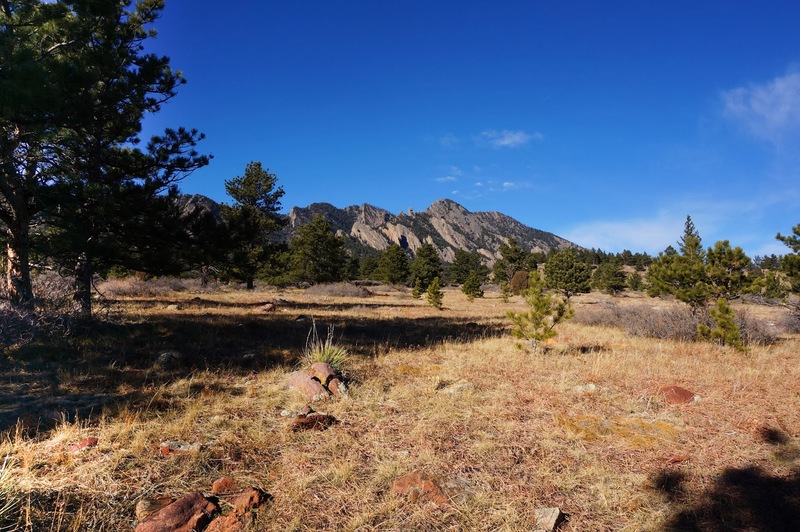 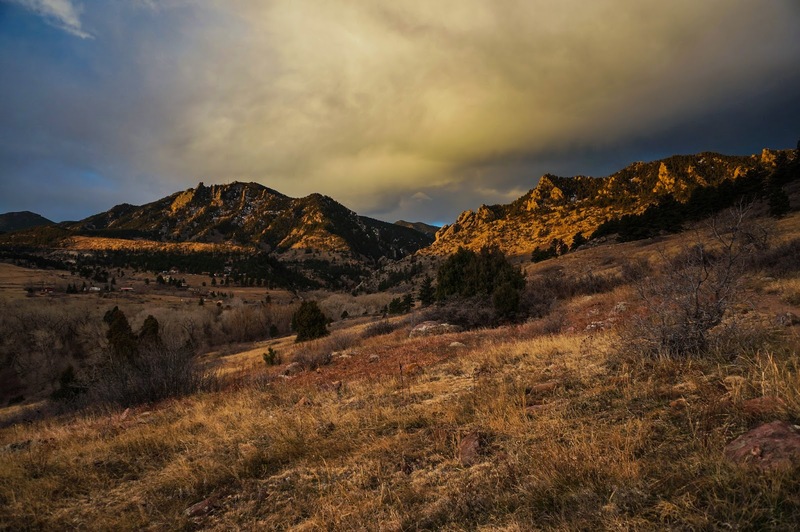 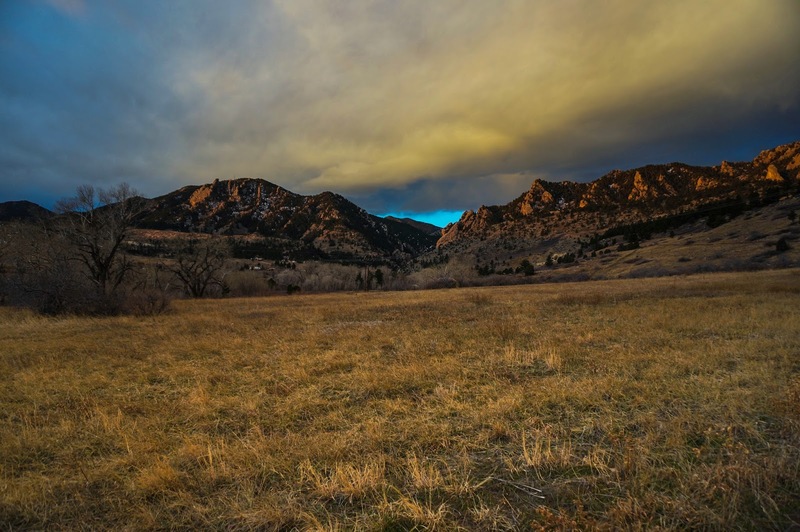 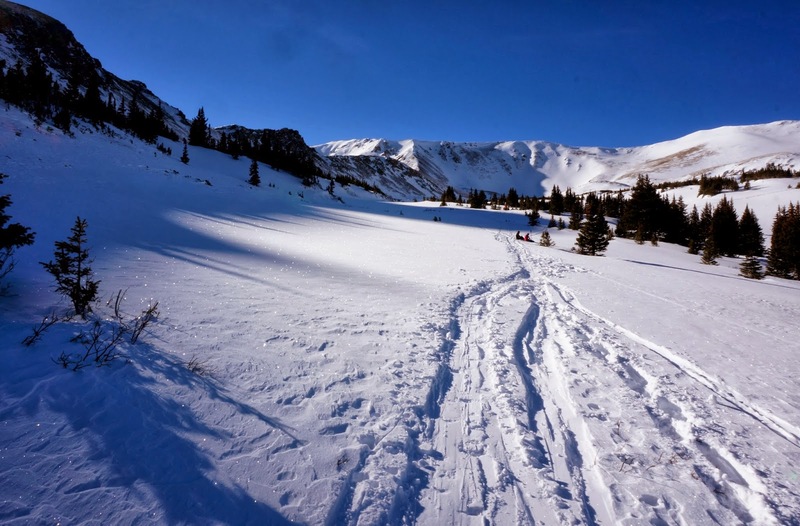 The summit of S. Boulder Peak is rocky but rewards you with views looking down on Bear Peak and Green Mountain to the north and Shirttail Peak and Eldorado Canyon to the South. 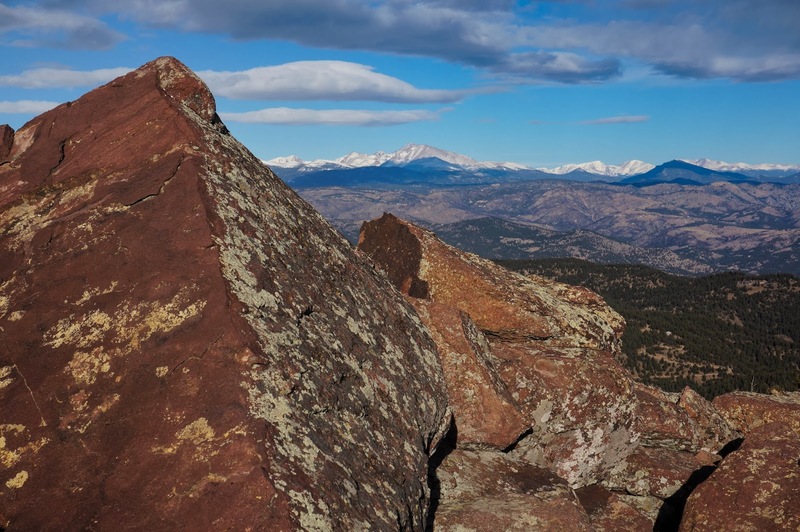 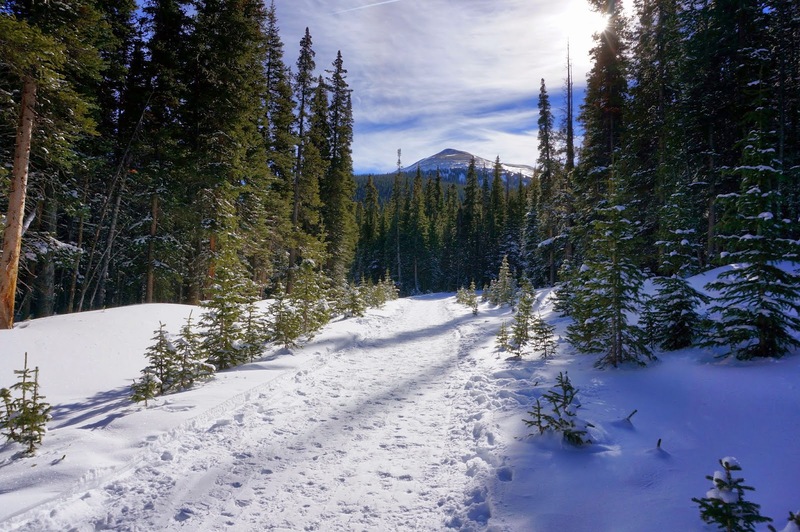 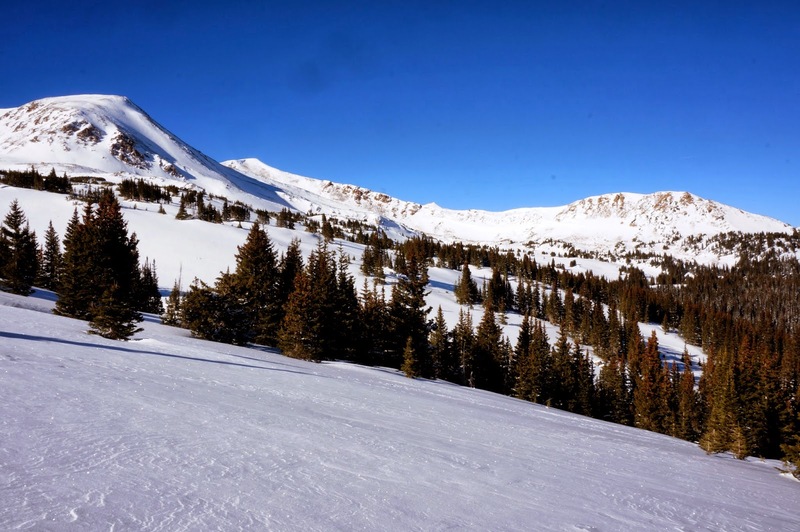 To the West you get expansive views of Mount Evans, the James Peak Wilderness, the Indian Peaks, and Rocky Mountain National Park including a prominent Longs Peak.